Calligraphy is an honest art, and an underrated one in my opinion. It reminds me a lot of Japanese Ensō art which exists when the hand and mind are uninhibited enough to bring something creative into existence. Anyway, I’m sure it’s much more disciplined than I imagine but Amie Childs, creator of For Keeps by Amie, just makes it look so easy. Her work can be created on so many different materials and items, so is perfect for any occasion- and I’m glad to introduce her & her talented hands to my clients and readers. Both of my grandmothers were very creative, so I guess it stems from both sides of my family. My Dad’s side is very artistic – my Nanny is a wonderful artist, as is one of my cousins too. As well as being an amazing cake maker, my Grandma on my Mum’s side was a wonderful seamstress and used to create beautiful clothes for me and my sister when we were younger. I have always loved making things, and started For Keeps with a small collection of hand painted and decorated wedding countdowns and signs. It has taken four years, but For Keeps has grown into something unrecognisable from my first pieces, with an evolving range that I am very proud of. I am currently trying to source some new materials to try – and if they work, they will look stunning with the hand written calligraphy style text. It is proving more difficult that I had hoped, but I will get there and I will reveal much more when I do! My absolute favourite trend at the moment is the Acrylic pieces. I love using different colour paints on the clear perspex and it is a great material to work with. They compliment so many wedding styles, from modern sleek to vintage when put in a lovely frame. I think this trend is going to carry on throughout 2017 and well in to 2018 too. I LOVE WEDDINGS! I wish I could plan mine all over again and again. I love when I get a really excited bride sending me links to her Pinterest board, and trusting me to make some of her wedding dreams come true. What an absolute honour! I really like that I can adapt and tailor every piece to each couple and each wedding. Everything is hand written, so no two pieces will ever be the same, and that makes them even more special for those extra special days. My life works on a two week rota around my husband’s shifts. When Stuart is up and gone at 5am, I am usually woken up by one of our two girls rather than my alarm. We have nursery/childminder/dance run four times a week for Ella who is four; so it’s often get up, get breakfast, get out, get back, get started! During the day, I get lots of admin bits done while Phoebe naps – she turns one next week. I also try to fit in painting chalkboards here too whenever I can. Stuart is then usually home at 3pm and heads straight off to collect Ella and take over from entertaining Phoebe so that I can really get on with the sketching, writing, painting and the more detailed side of my work that requires my undivided attention. If Stuart is on a late shift, I tend to get most of my work done in the morning, before Stuarts heads out at lunchtime. After the usual school run, dinner, bath and bed routines are done, out come the paints again! Plenty of cups of tea with two sugars is my fuel! I don’t think I have a dream wedding as I love the variation that comes with all weddings, but I do love creating an entire collection for couples meaning that the theme of my pieces follow through the entire day, from a ceremony sign at the very beginning, to place names and table plan at the wedding breakfast, and cake menus and sweet table signs for the evening guests. I am a great believer of themes and styles continuing through the day and this is certainly one way of doing it. All of my pieces are individually priced but I do offer bespoke quotations for custom sizes and pieces that are not a part of my existing range. I am often asked if I can source something in particular and so once found, this is always priced accordingly. As soon as they are ready and have their heart set on my creations. I do operate a deposit system, so with a £20 deposit, couples can secure a space in my order books in the lead up to their big day. I get in touch with couples three months before their wedding date to start confirming designs and details, and then whenever my couples have final names for place names, table plans etc, I have the space in my diary to get straight to work. 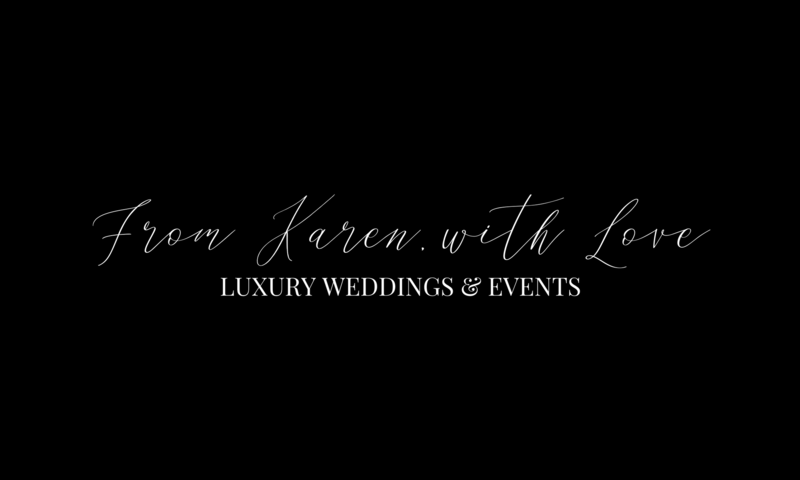 I like to make sure that everything is completed at least a month before the wedding, however, I am flexible and completely understand if couples are struggling to finalise the guest list – these things happen. All wedding requests are looked at individually depending on the couples requirements, along with the date, but on average, I am able to complete a couple of orders a week. I want to remain as flexible and personal as I can for my couples, and taking on lots more orders would not allow me to do that – so get in quick to book your date!